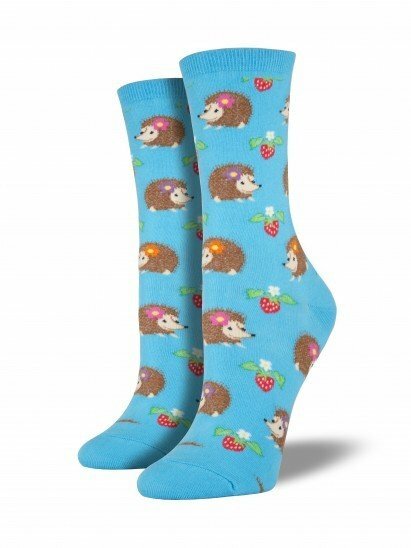 Hedgehogs are big-time adorbs and very loved. 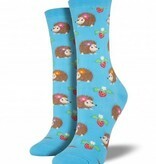 The hedgehog socks in bright blue have happy little hedgehogs surrounded by strawberries. Sweet!